Xiaomi has all kinds of products on their shelves and in 2014 they invested in Yeelight company to acquire a good percentage of share. Since then, Yeelight and Xiaomi building some of the great and affordable products. 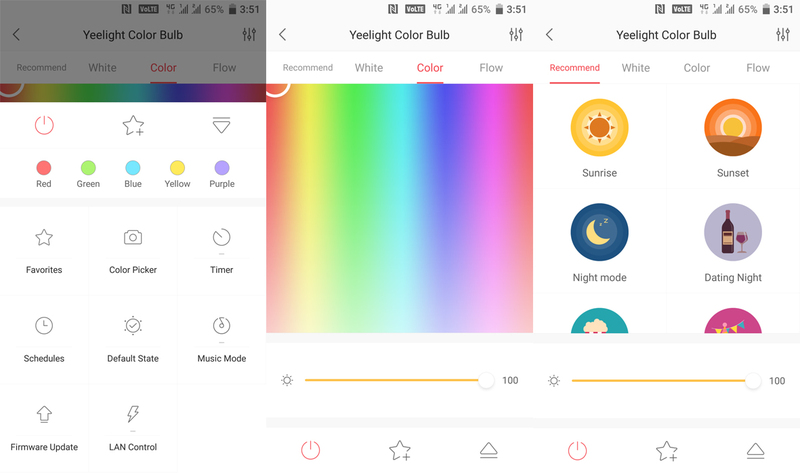 Yeelight is especially focused on Smart Lighting. They manufacture all kinds of lights such as LED Bulb, LED Strip, Ceiling Light, Desk Light, Motion Sensor operated Nightlight etc. Yeelight comes with great build quality and it uses E27 which means it can work in India however it won’t fit directly in your bulb holder, you need a converter which you can get it here. 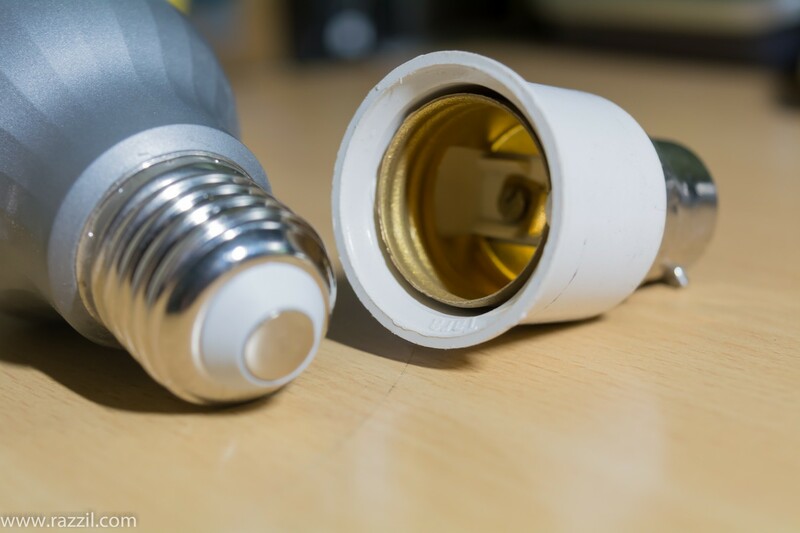 The Xiaomi LED Bulb has Luminous Flux of 600, 2.4GHz Wi-Fi, 9W power and the bulb is designed to operate for 11 years without any difficulty. Yeelight comes with Wi-Fi and it works without any Hub which means, you can directly operate this on your standard Wi-Fi router. The Smart LED Bulb can be controlled by Android, iOS app, Google Assistant or Amazon Alexa. With the standard app, you’ll be able to control the brightness, change the color, turn on the party mode and schedule the turn on or turn off. 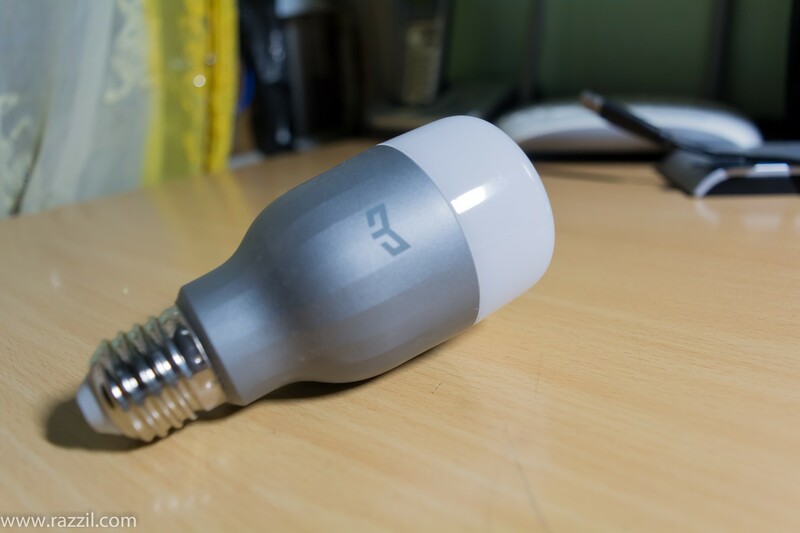 Xiaomi Yeelight Smart LED Bulb can also be controlled by the Google Assistant, Amazon Alexa or IFTTT. With the smart assistants, the user can turn off on the bulb, change the color and brightness. 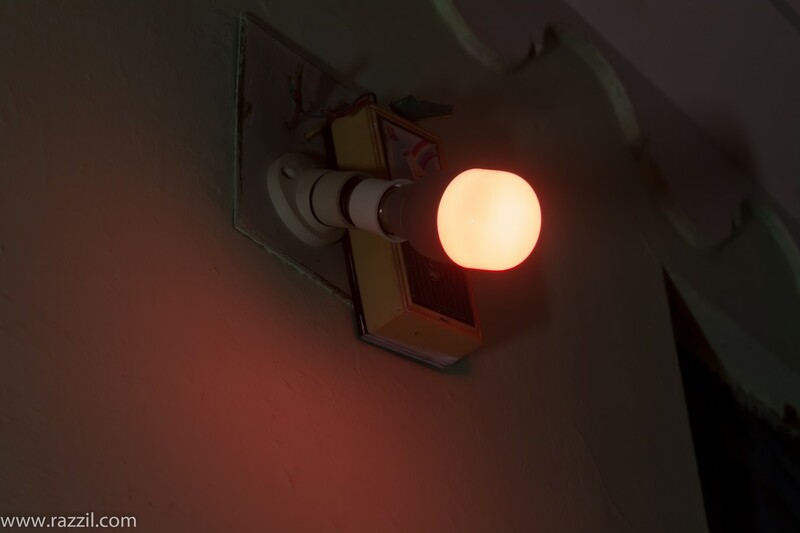 You can further extend the feature of the bulb by using it with Amazon Alexa or Assistant, with the routine feature you can set the bulb to do operate when certain conditions met such as Automatically start the light when sunset or auto turn off the light at given time. Even if you don’t have the any of these devices, you can still set the scene from the Yeelight app. The user can also create a personalized fancy atmosphere by setting the light into a specific color which matches the mood around you. 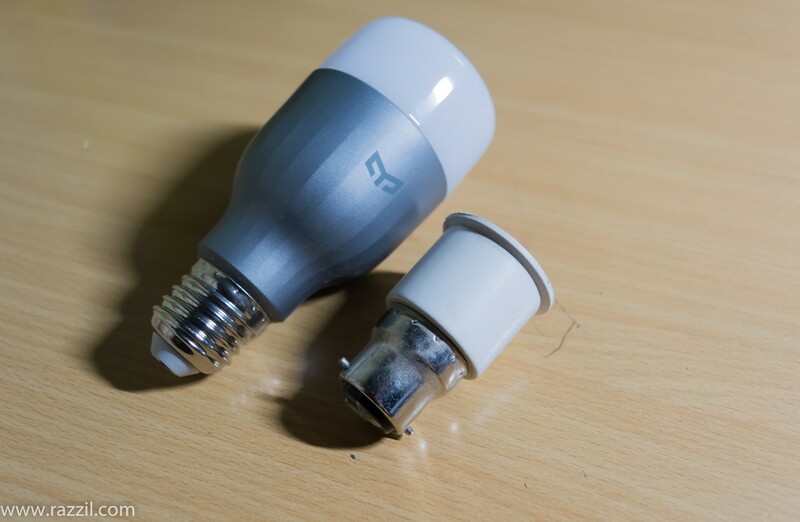 Currently, the Xiaomi does not sell the Bulb in India so you’ve to import it from China either from AliExpress or Gearbest. Also, you need E27 Female to B22 Male Light Bulb Adapter to make it work in Indian socket, without this you won’t be able to use it. You can get the converter here. 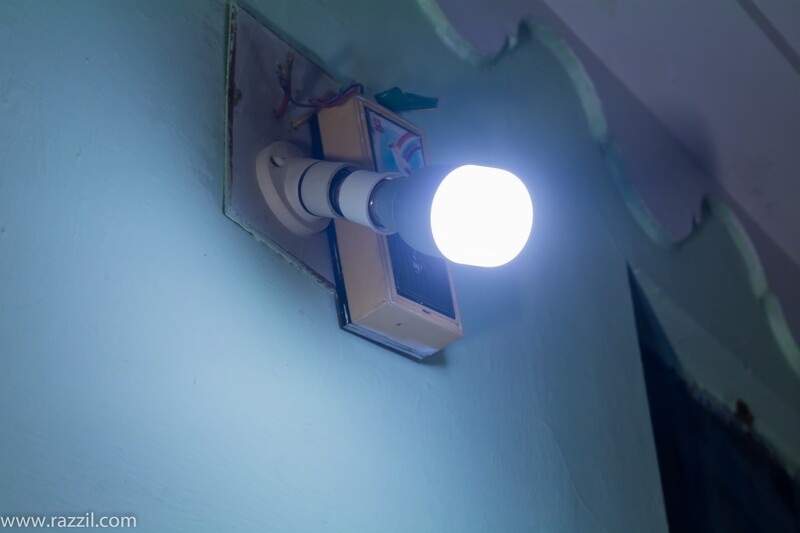 Yeelight LED Bulb is a great alternative if you’re looking for something cheaper than the Hue Lights or any other LED lights that are available in India. The quality is great and once the everything is setup with Smart Home Automation, you’ll love every piece of it. It’ll not only the add different moods to the atmosphere but also can help to save the Electricity by auto turning on/off. The possibilities are endless, you can further customize by mapping it with other smart home devices such as thermostats, sensors etc. Yeelight LED Bulb is a great alternative if you're looking for something cheaper than the Hue Lights or any other LED lights that are available in India. The quality is great and once the everything is setup with Smart Home Automation, you'll love every piece of it.